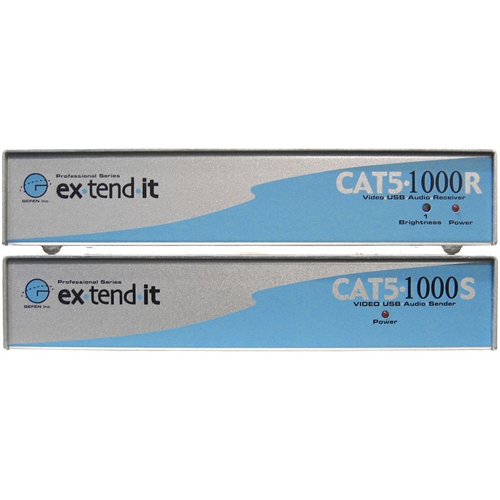 The CAT5-1000 requires just one CAT5 cable to transmit video, audio and control signals to the remote workstation. It essentially bundles the signals together before, during and after transmission so that cabling is reduced while reliable signal transmission is achieved. This is the ideal solution for anyone who desires an effective method to extend their workstation anywhere within 330-feet from the computer.